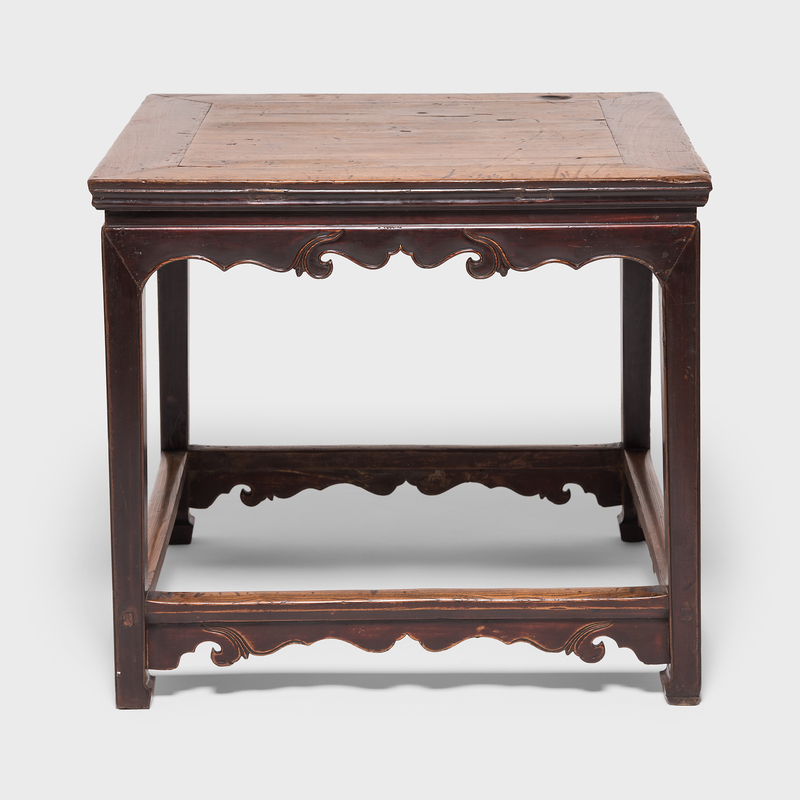 W: 40.0" D: 40.0" H: 34.75"
Called an "eight immortals" table, this early 19th-century square table was designed to seat eight people, with a bench for two on each side. 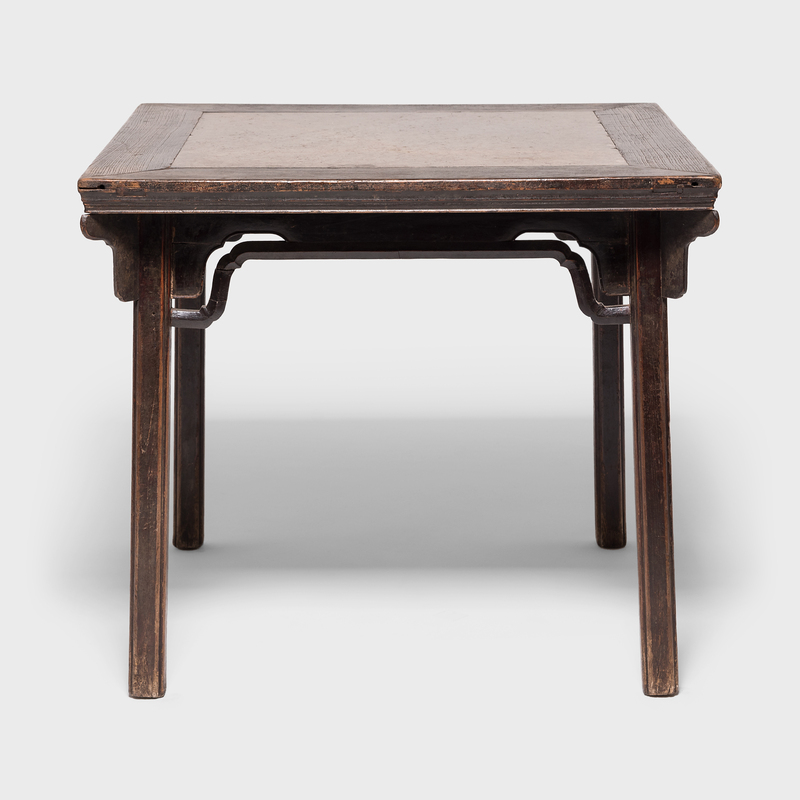 The table top is inset with puddingstone, a conglomerate stone from China that has been favored for centuries for its captivating appearance. 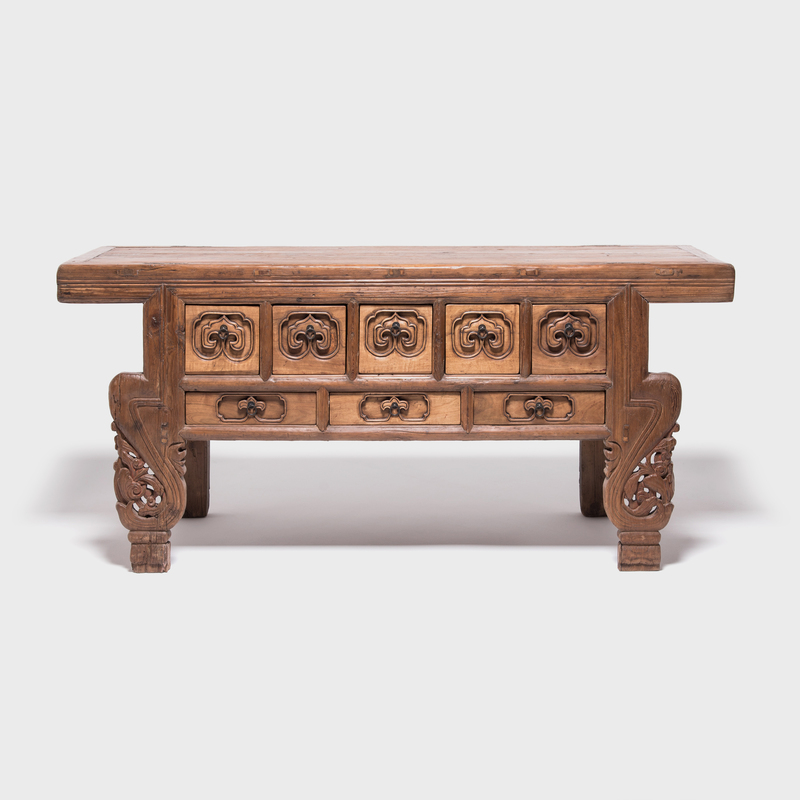 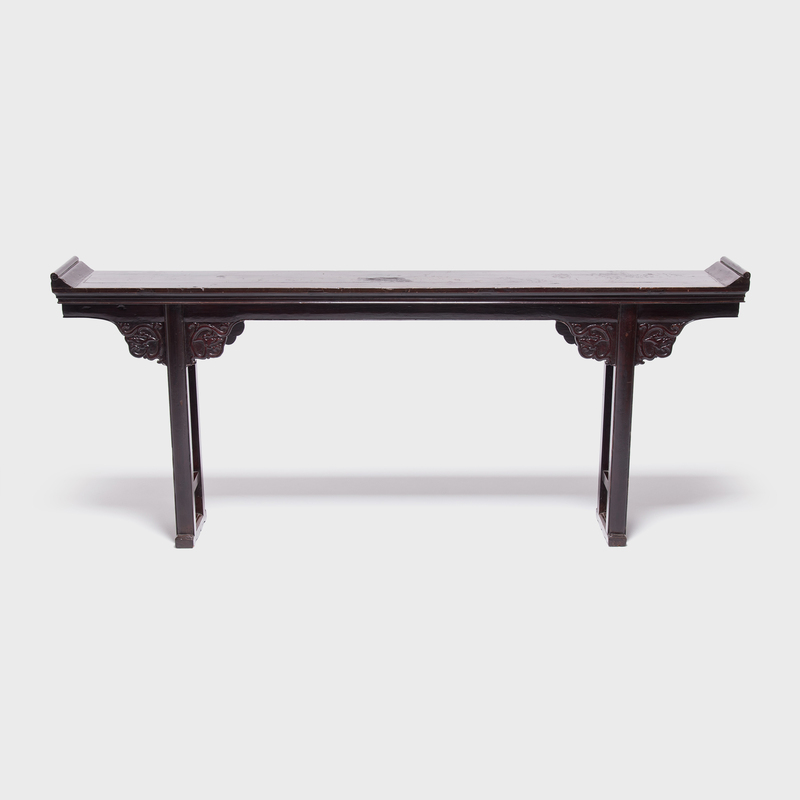 The table's lacquered elmwood frame is simply decorated, each square leg linked by humpback stretchers and topped with three carved spandrels. 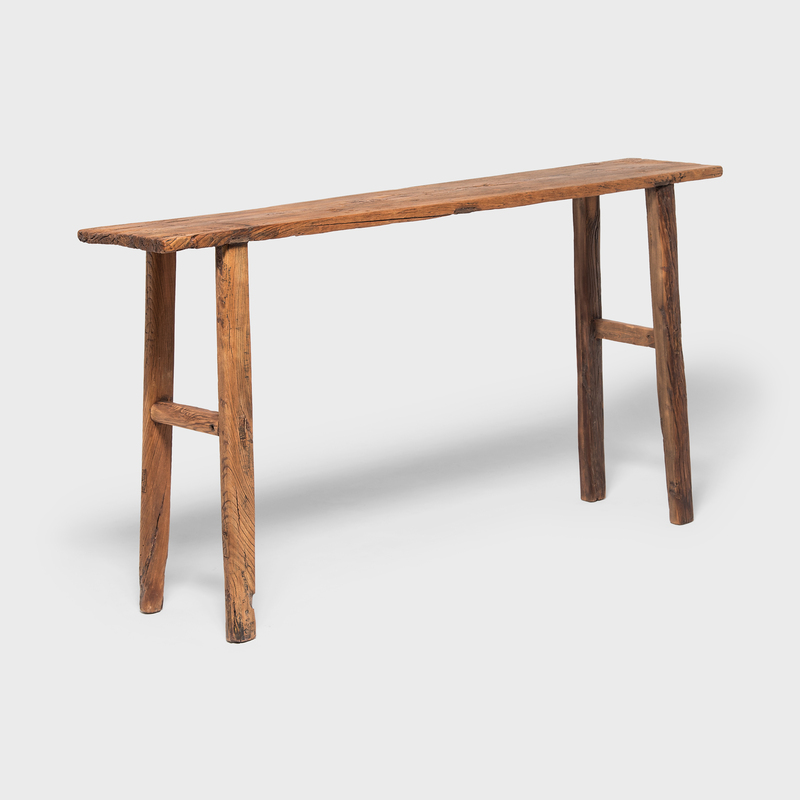 Table Apron to Floor: 29"